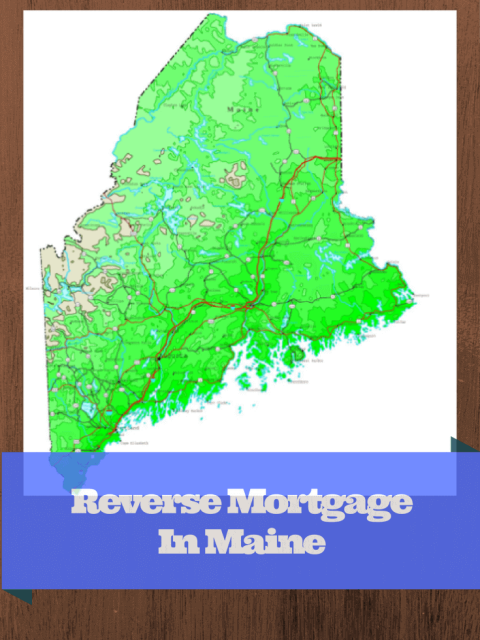 A reverse mortgage in Maine is largely similar to a reverse mortgage in any other state. However, there are some subtle differences. household income, the cost of doing business, and the overall economy in Maine, it’s not all that cheap after all. A reverse mortgage can potentially really help Maine residents live a more financially easy life. Do You Meet the Basic Reverse Mortgage Qualifications to Get a Reverse Mortgage In Maine ? A reverse mortgage is a unique FHA insured loan which means it’s very safe. This type of loan allows you to access a portion of the equity in your home and convert it into tax free cash. The best part is that a reverse mortgage does not require a monthly payment for as long as you live. However, it can only be done on your primary residence. So, if you permanently move out of the reverse mortgage home, the loan will be called due. You must be aged 62 years old or older. The reverse mortgage in Maine can only be done on your primary residence. The home must be a townhome, condo (if HOA is FHA approved), single family home, manufactured home, 2-4 unit property, PUD, or modular home. There is also an equity requirement and it varies depending on the age of the youngest borrower. For example, if you are 62 years old you can borrow up to 52.4% of the appraised value. A 90 year old can borrow up to 75% of their home’s value. The percentage you’re eligible to get moves upward slowly on a sliding scale. Reach out to Reverse Mortgage Loan Advisor at Info@ReverseMortgageLoanAdvisors.com to see how much you can get. There are also some basic reverse mortgage credit requirements, but there are no specific credit score requirements for reverse mortgages. Is There Anything Unique About Getting A Reverse Mortgage In Maine ? Some states require a carbon monoxide detector. Maine has carbon monoxide detector requirements. It doesn’t apply to every home though. However, it does apply to most homes, so it’s probably best to get a carbon monoxide detector before the appraiser comes out. The exact requirements can be found at the Maine Legislature website. Otherwise, if he or she notes that you don’t have one (the appraiser), but one is required then you’ll have to buy one and have the appraiser come back out. Guess what, they will charge you for the extra trip and it’s usually $150 – $200.00. Other than the carbon monoxide part, getting a reverse mortgage in Maine isn’t much different than most states. In most states a lender is required to show you a counseling list. The list should include names and telephone numbers of reverse mortgage counseling agencies that can do telephone counseling. The list should also include at least five agencies for face to face counseling. However, for Maine, there is actually only one agency located in the state of Maine. The address is below. When you get a reverse mortgage proposal, your list will include the agency noted below and four others in nearby states. No monthly mortgage payment for as long as you live or for as long as you reside in your home. You are still the owner of your home. The HECM is just a loan. Since you still own the home, you are responsible for paying property taxes and insurance. You can still leave the home to your kids (or anyone else you choose). No risk to any other assets. Your home is the only collateral. The money you get should be tax free. ⟵Can I Get A Reverse Mortgage On A Manufactured Home?